San Juan del Sur, Nicaragua - Calle Paseo Del Rey, Del Rest. El Timon 175 Metros Al Norte. 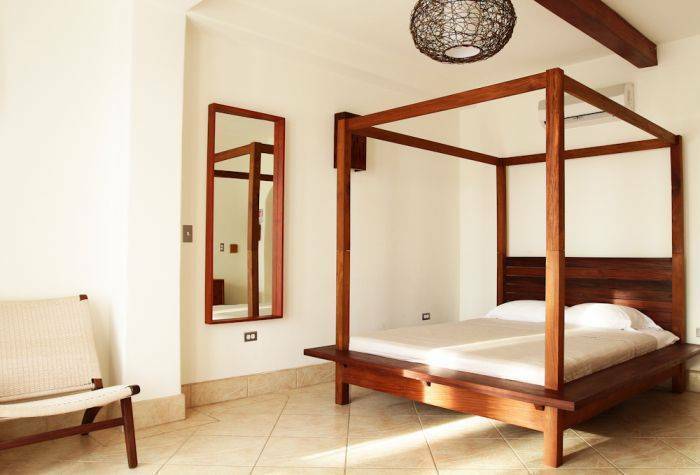 Located two hours south of Managua Airport in beautiful San Juan del Sur, Hotel Alcazar offers luxury accommodation and first-rate service. Achieving a balance of convenience, comfort, location and elegance, this cozy boutique hotel blends the style and amenities of a sophisticated resort with the friendly intimacy and charming architecture of a traditional guesthouse. 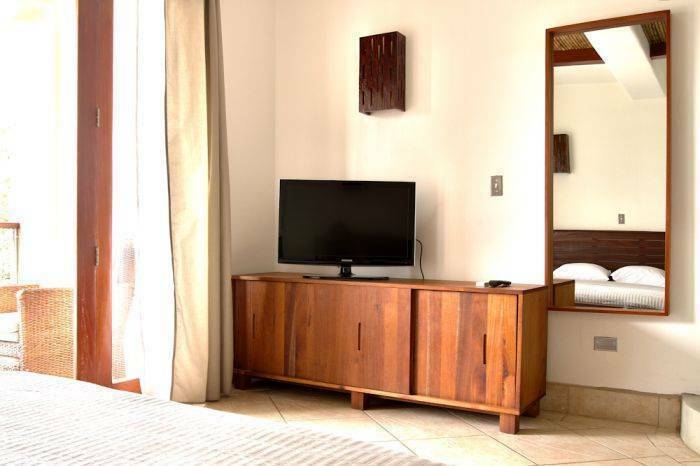 Each unique, air-conditioned room is well appointed with all modern creature comforts, showcasing gorgeous contemporary tropical hardwood furniture supplied by local sustainable producers and attractive stone and bamboo details. Forget about cramped urban hotels – each of our mini suites features a comfortable lounge section, a large furnished balcony and a spacious shower room with luxuriant raindrop showerhead. After a day exploring the area’s numerous beaches, surfing, doing yoga or a night hitting the town’s bars, relax in front of your flat screen TV or access the Internet with our complimentary Wi-Fi service. Why not escape the heat with a refreshing dip in the pool or chill out on the balcony with a cool drink while taking in stunning ocean bay views? 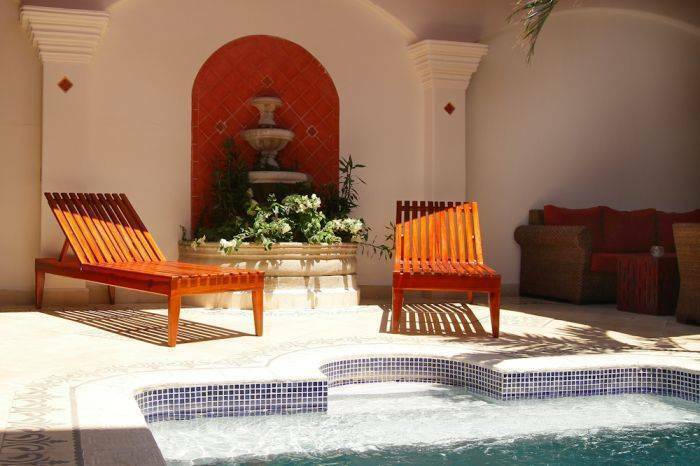 Alcazar Hotel features stone graced walls accented with exotic woods from the local environ. 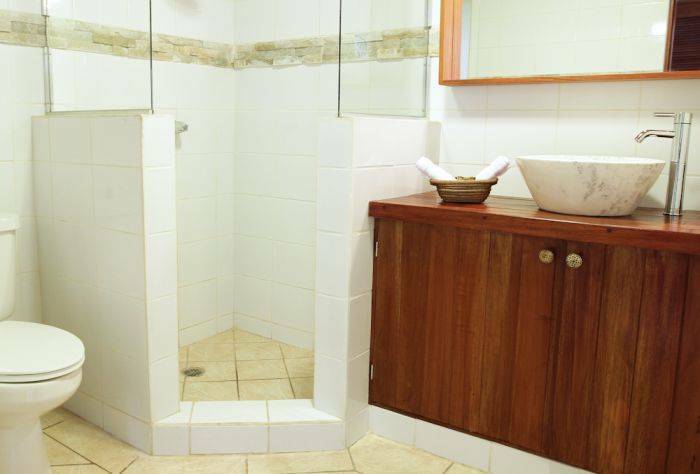 Baths are detailed with handmade ceramic tiles, basins and fixtures. 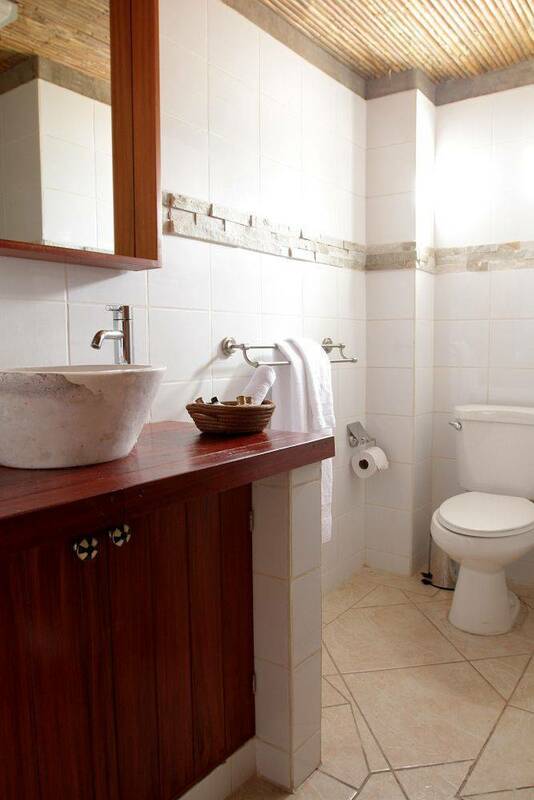 Services and facilities include: Swimming pool, laundry service, in room spa services, bi-lingual staff, full concierge services and tour organization. Hotel Alcazar also features a small pool area where you can relax reading a book, enjoy a cold drink or by simply talking to your friends. The hotel features rooms with air conditioner, safe, cable TV, private bathrooms, closet and a ceiling fan outside at the private balcony. San Juan del Sur is a municipality and coastal town on the Pacific Ocean, in the Rivas department in south-west Nicaragua. San Juan del Sur is popular among surfers and is a vacation spot for many Nicaraguan families and foreign tourists. Its population is approximately 18, 500, consisting largely of families engaged in fishing and foreigners from the United States, Canada and Europe. Once a sleepy fishing village, San Juan del Sur has emerged as a hot spot for the adventurous traveler and retiree alike. With a strong ex-pat community and several modern day conveniences, San Juan del Sur has surprisingly not lost its cultural charm, and still exudes energy from its proud locals. There are beautiful beaches both north and south of San Juan del Sur with great surfing and diving available. Known as the quintessential surfing town of Nicaragua, San Juan del Sur offers easy public transportation to the surf. Surrounded by Playa Maderas, Playa Yankee, Playa Tamarindo, and Playa Remanso… San Juan del Sur proves to be perfectly located as the social hub of your traveling surf trip. Inside San Juan del Sur, you will find a sweet little market for your fruits and vegetables and many road side vendors including everyone’s favorite, “the chicken lady”. Sport fishing is also a great pastime as it is hiking, biking and sailing. Restaurants are abundant as well as gift and souvenir shops. The long waterfront is lined with seafood restaurants and beach side decks looking over the sailboats and fishing boats that dot the majestic bay. There are several surf shops where you can rent boards and a surf bus to take you to the best spots. Buses run hourly to Rivas where you can catch another bus north or south. Rental car agencies, taxis and private vans are also available if needed. One of the great things about Nicaragua is that it is summer year round. Average temperatures are in the high 80′s or low 90′s. It is rainiest between the months of June-October but this is also the coolest months due to the rain. January-April is considered high season and will be busier in the hotels and restaurants. Bring plenty of insect repellent, sun-block, light weight clothing and comfortable shoes. Nicaragua electric is 110 just as in the U. S. The water is potable but we suggest drinking bottled water just to be safe. The currency is the Cordoba but everyone takes U. S. dollars. Check your bills carefully because if there is a tear or mark of any kind, they will not be accepted. Traveler’s checks are difficult to cash and most banks charge a percentage to change them in Rivas. There are four banks in town (BANCENTRO, BANPRO, BAC, BDF) and five ATM machines available. All of them accept most credit cards and debit cards. Many shops and restaurants do not accept credit cards due to the high fees charged by the banks so it is a good idea to have cash available in small denominations. Located at 150 mts. south offers delicious seafood. They work everyday. Located at only 20 mts. offers mediterranean food. They close on Tuesdays. Located at 300mts offers international and seafood in their menu. They work from Monday to Sunday. Located from the parish house one block south, they offer delicious Mediterranean food. They close on Mondays. Located on the west side of the central park, offers Italian food, spaguettis, pizza,etc. They open from 6pm to 10pm. No reservation is guaranteed nor confirmed without a deposit made. 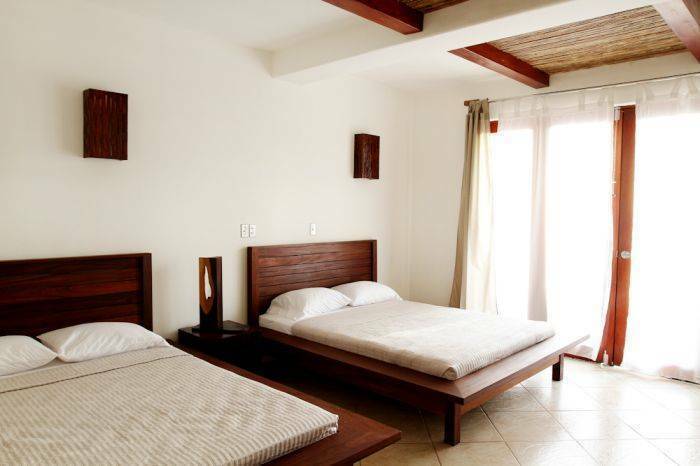 To confirm and guarantee your reservation we require 50% deposit of the total cost of your stay. Upon your arrival date at check in time the other 50% of the total cost of the stay must be paid. If you cancel your reservation 15 days before your projected arrival date we will fully refund the deposit made. If you cancel your reservation within 12 days before your projected arrival date we will refund 25% of the deposit made. If you cancel your reservation 7 days before your projected arrival date we will keep the deposit made. No shows or early departures will be considered as cancellations, therefore we will charge the remaining balance of the total cost of your reservation. Some reservations with special rates are charged immediately and are non-changeable and non-refundable. Calle Paseo Del Rey, Del Rest. El Timon 175 Metros Al Norte. Driving from Managua to San Juan Del Sur is fairly easy as the road is now 100% paved the whole way. There are a couple things you have to watch out for if you are renting a car or driving your own car. 1. Pigs, Dogs and Cows crossing the road. 2. All roadside stores sell alcohol, so watch out for the speeding alcohol induced semi trucks. 3. Police roadside stops. 90% of the time they ask for a $5-$10 bribe, either pay it, don't speak spanish until they get frustrated and realize that it´s not worth their time, or give them a fake photocopied ID, because you won't see your real licence again if you give it to them. It´s a beautiful and fun 2. 5 hour drive, and you will enjoy it, but just watch out for the above. On the outskirts of Managua and Masaya, their is an American style mall (Galerias), with a movie heatre, american restaurant franchises, US prices, and a lot of fun things to do. It is always a great place to go and shop. If you wish to sit back, view the scenery and not worry about driving in Nicaragua, you can schedule a time with our air condtioned shuttle vehicles to pick you up at the airport. Once you are arriving into San Juan del Sur you will drive past by the Pali Supermarket, and then you will drive past by the UNO gas station. Please follow the road straight ahead for three blocks, then make a right in front of El Timon Restaurant and turn and drive for one and a half blocks. You will drive past the ESKIMO ice cream shop on the beach that is on your left hand side and then you will find our building on your right hand side right after having driven past this ice cream shop. If you do not want to rent a car or to reserve a private transportation from the airport in Managua to San Juan del Sur, then there is a third option. From Managua airport take a taxi and ask to go to Roberto Huembes Market, then you take the bus to Rivas (you have two options to take an express bus or a regular bus). Once you are in Rivas take a taxi or a bus to San Juan del Sur. If you take a taxi give the driver the address and directions and ask him to drop you off at the hotel.